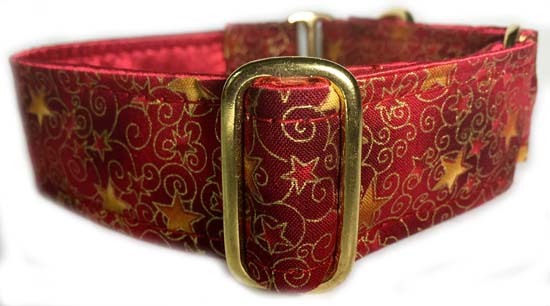 Elegant Wildcat A jacquard ribbon with a wildcat center surrounded by an elegant red border sewn over a polypro base that was first completely wrapped in silky soft red cuddle satin. 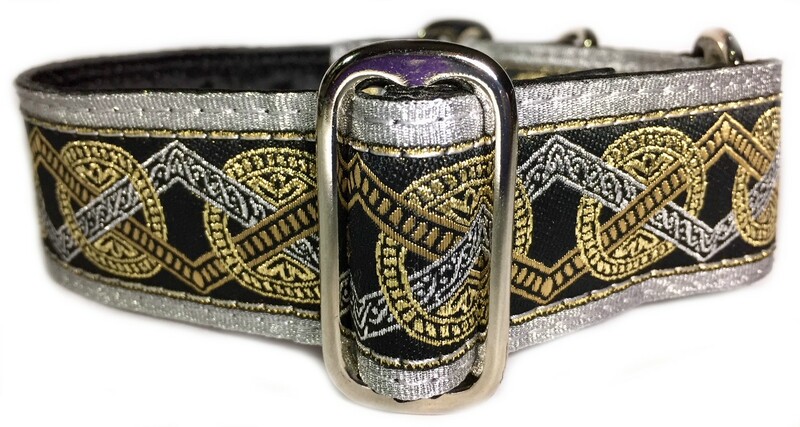 Collar is shown in the photo with brass hardware but nickel is also available if you prefer. 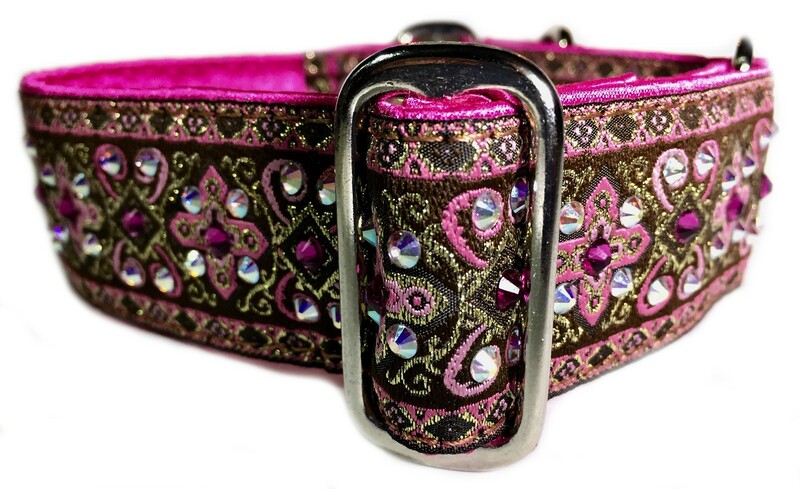 Collar is only available as a 1.5" martingale. 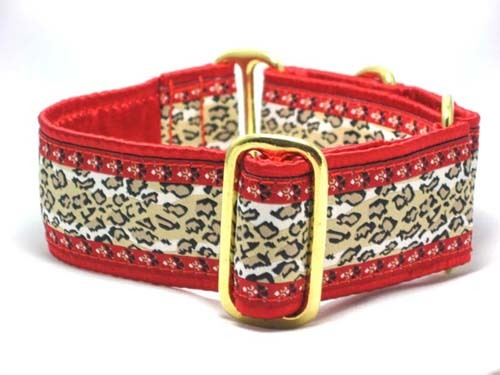 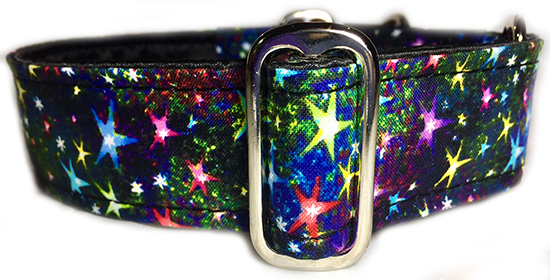 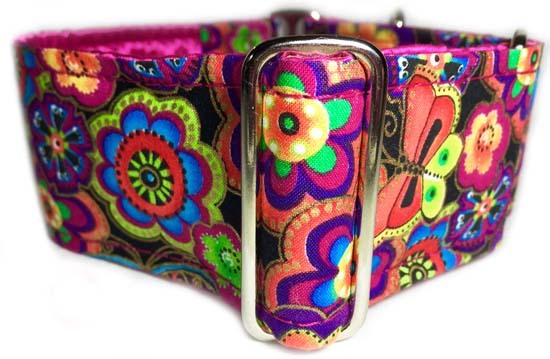 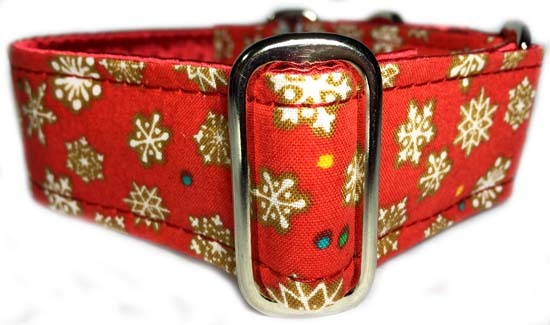 Please send us an email if you would like this collar in a size other than the standard greyhound size.